It’s wedding season! Yay!. 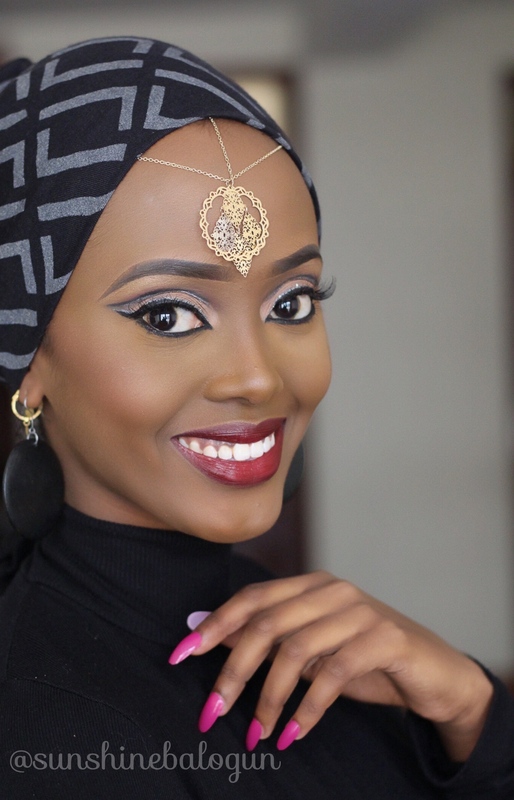 Since bridal makeup is what I do mostly, I tried to time these posts (it’s going to be in two parts) for the start of one of the two busiest wedding months (the other being December) in Kenya. Muslim weddings are usually an explosion of colour and style. 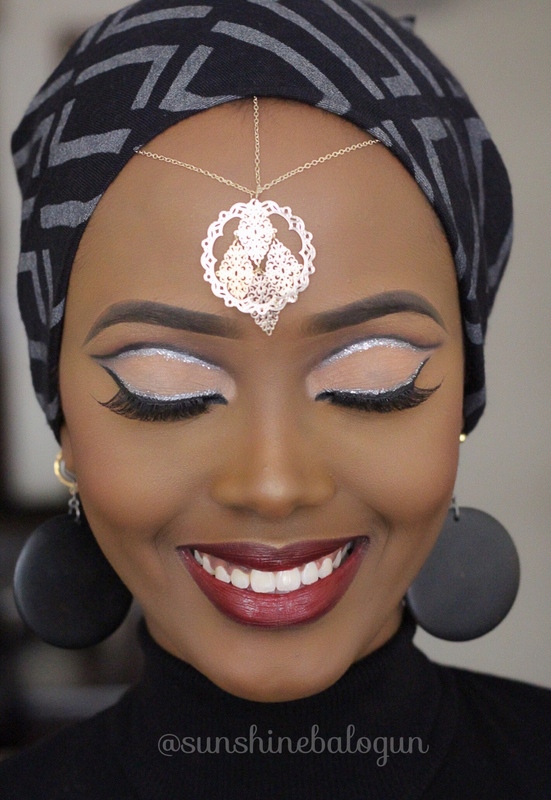 The wedding attires, beautiful accessories, henna, are all so exquisite. I am generally fascinated by weddings of other cultures, and they are truly a beauty to behold. The makeup is usually a little bolder, and more detailed. Think glitter, red lip colour, cut creases. 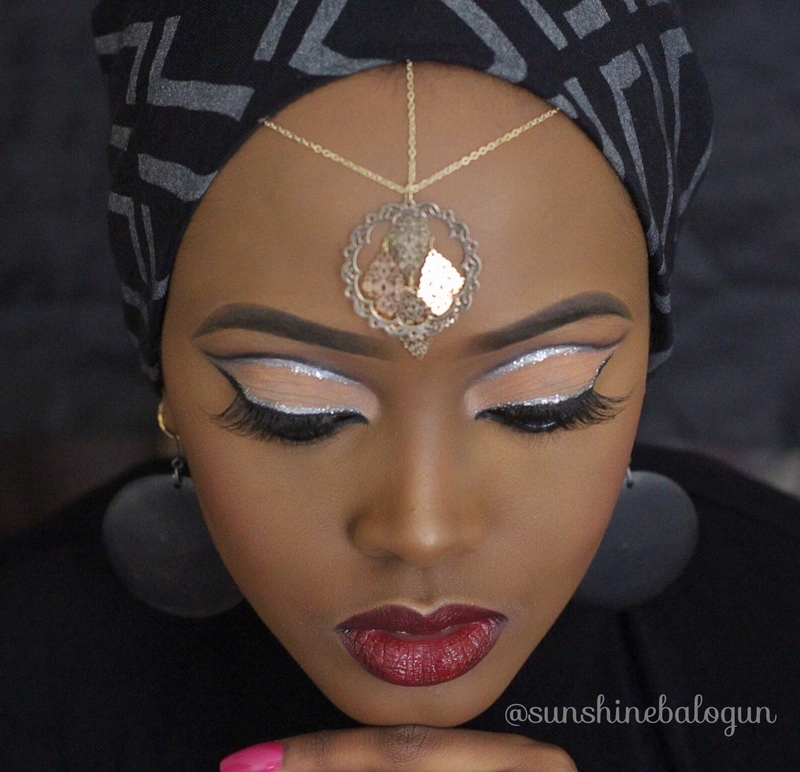 This is why I was so keen to feature this Muslim bridal makeup inspired look. 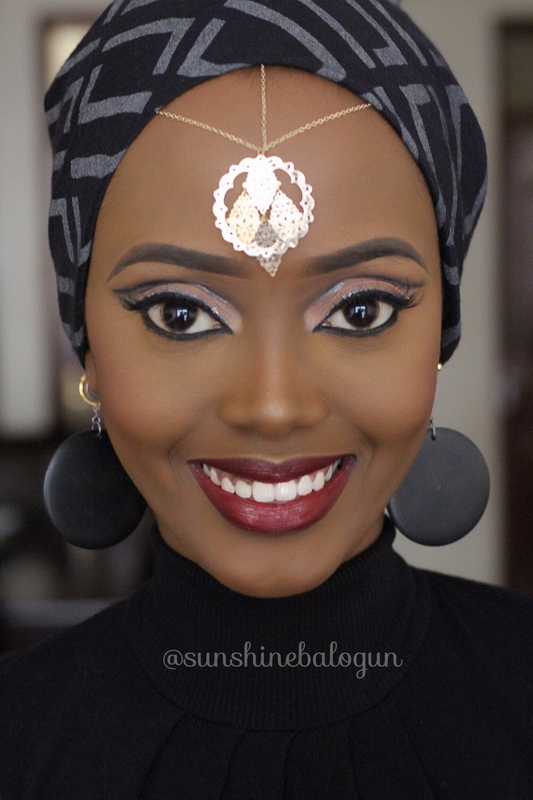 I met the gorgeous Zam Zam nearly 2 years ago, she’s got the most gorgeous eyes, with plenty of lid space to play with eye makeup, win!. When I saw a similar look on instagram, I immediately thought of recreating it on her. With her eyes open, this look seems pretty tame. Once she looks down, Its all sparkly goodness. Eyes: Anastasia Beverly Hills brow wiz in ‘ebony’, LA girl pro conceal in ‘toast’, eyeshadows are from the Morphe brushes 35O palette, glitter is Eye Kandy glitter in ‘jawbreaker’, ben nye glitter glue, eyeliner is L’oreal gel liner in ‘blackest black’, Lashes are Angel lashes ‘WSP’. Face: Mark Kay medium coverage foundation in ‘bronze 600’ + ‘bronze 708’, Powder is MAC studio fix in ‘NW 45’, highlight is LA girl pro conceal ‘toast’ + ‘fawn’, set with Ben nye luxury powder in ‘clay’. Blush is from the Beauty treats ‘matte palette’. Lips: House of Tara lipliner in ‘wine’ and Pauline cosmetics lipstick in ‘red wine’. This is my second post featuring the gorgeous Zam Zam, see the first post here. 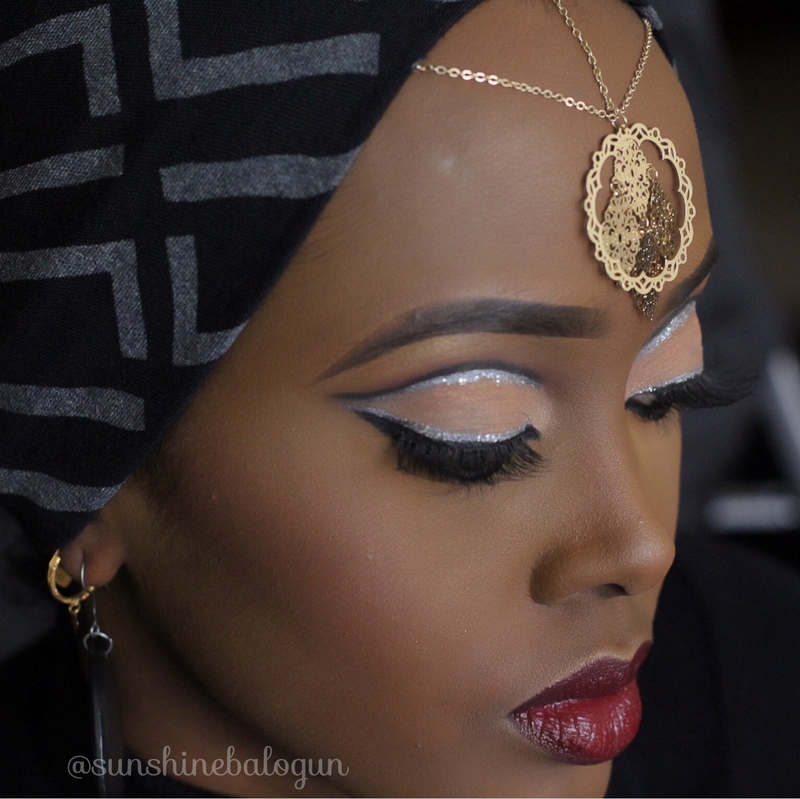 Makeup and Photography by Joy Balogun. Thank you for stopping by my blog. Want to give feedback? comment. Never want to miss a post? Subscribe. And remember, there is love in sharing. Have a great week! xo. hi can i train to be a makeup artist?